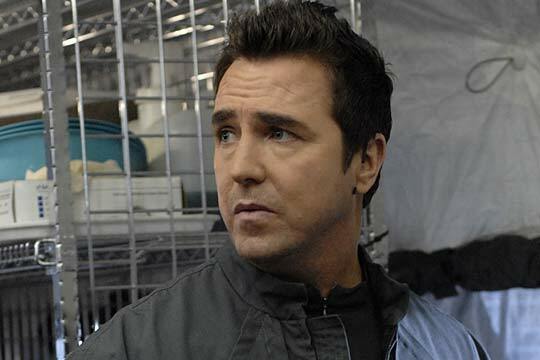 Last month, actor Paul McGillion (Stargate Atlantis‘ Dr. Carson Beckett) very kindly agreed to answer questions from the readers of SciFiAndTvTalk. We got through as many as we could, so without further delay, here are Paul’s answers. Enjoy, and thank you to everyone who sent in a question! PAUL McGILLION – Yes, but because Jason Momoa is now Conan the Barbarian, they’ve asked me to play Ronon. Seriously, I’d love to be part of Atlantis if they decide to come back, but it would be all up to the producers, though, and, of course, the fans. P McG – Tons of moments; the pilot, especially. Just stepping onto the Atlantis stage on the first day of filming had a real special feeling to it. One of the first people I ran into was Robert Patrick (Colonel Marshall Sumner), and I thought, “This is going to be really cool.” I was excited and I think everyone had that same sense of enthusiasm about the show and the possibility of it running for a long time, which it did. So that was a great memory, and then just all my friends that I met through the show, David Hewlett (Dr. Rodney McKay), Joe Flanigan (Colonel John Sheppard), Jason Momoa (Ronon Dex), Torri Higginson (Dr. Elizabeth Weir) and Rachel Luttrell (Teyla), was great. We had so many laughs, it was really fun. 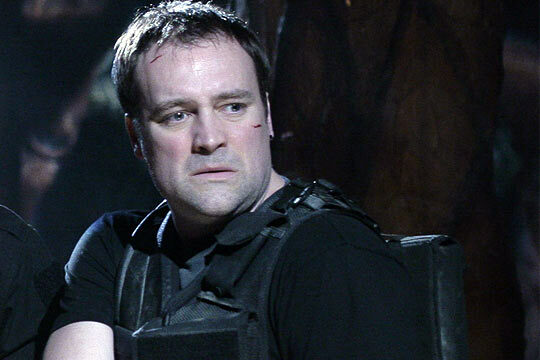 And then there are moments that you can’t erase from your memory, one being a scene in the episode Duet where David Hewlett kissed me. I would consider that more of a nightmare than a memory – a recurring nightmare. Honestly, there are just so many different things that we had the opportunity to do on the show. I always equate it to playing cowboys and Indians in space, and with each new script, the cast felt, “OK, what are we doing this week? Oh, I’m wearing a hazmat suit. Oh, this character is drinking a potion that makes everyone fall in love with him,’ etc. Atlantis is just a fun show that’s full of escapism and I think that’s why fans like Stargate; it gives them an hour to escape into another world and I just think it’s fantastic. P McG – I certainly hope so. 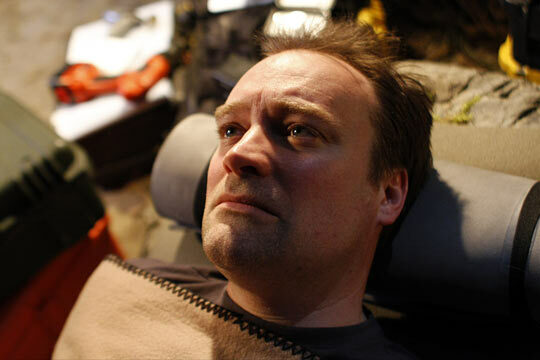 I’ve had the pleasure of working with David Hewlett on A Dog’s Breakfast, which was great. Again, I think they’re all really fine actors and hopefully our paths will cross again, if not on the Atlantis movie, maybe another TV series or film. It’s a pretty small world so I’m sure that will happen at some point in time and I look forward to it. P McG – That’s a tough one. I would have to say that for me, personally, it’s the first season’s Poisoning the Well just because I think it’s the episode that kind of solidified Beckett as a regular in the series. It was a very meaty Carson story and almost a test of sorts for the character to see if he could handle that much, and thankfully it worked out really well and I was very happy with that episode. It was quite touching and it showed a lot of humanity as well as a great deal of the humor with Beckett as far as him initially going through the wormhole and walking through the tunnels on the planet and all the dialogue that went along with that. A lot of the comedic aspects of Beckett came out. And then you see the humanity of the character, especially later on when Perna (Allison Hossack) dies in his arms. So I think it was a really beautiful episode. P McG – Hi, Rebecca. Well, I was fortunate enough in that I was born in Scotland, so that really helped when I decided to come in and do a Scottish accent for Beckett. So I think when they chose me to play the part, they chose me with a Scottish accent, whereas a lot of other actors came in with different types of accents. But I just stuck to my guns and wanted to play him Scottish. As an actor, you put a little piece of yourself in every role, and I think there are aspects of Beckett that I carry in my own life as well. He’s a very interesting character and I think the show’s writers gave him a number of opportunities to reveal a lot of different layers. So like I said, every character has a little bit of you in it. I’d like to hope so, anyway. P McG – Duet, for obvious reasons, including those I previously mentioned. P McG – Somebody actually mentioned the possibility of another one coming through and I’m certainly open to it. So if they were to ask me I’d be willing to do another one; they’re a lot of fun to record. P McG – Well, Qzee, I appear in the first two episodes of Sanctuary‘s third season, which I just finished shooting a couple of weeks ago (mid-April), so we’ll see where it goes from there. 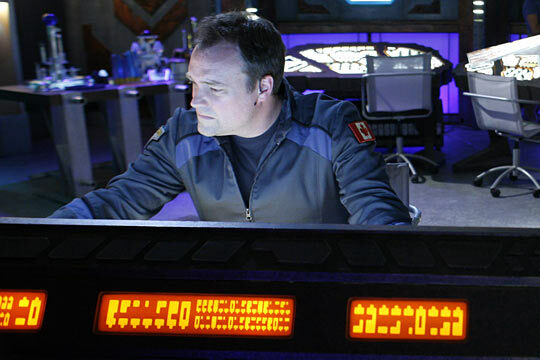 P McG – The oddest Sci-Fi prop would be the Ancients drone chair in the first couple of seasons of Atlantis. The place you put your hands is made of a material similar to silicone and when you touch the silicone it reminds you of (…). All the crew would come by and put their hands on it all the time and squeeze it, and then all of a sudden in the last couple of seasons it was (changed to) hard plastic. I don’t know why they took it away, though, cheeky buggers! P McG – Thanks Rodney Is Godney for your comments about A Dog’s Breakfast. As far as favorite Carson Beckett moments, that’s another tough one because there are so many of them. It would probably have to be a McKay/Beckett moment. For example, in The Outsiders, David and I had a lot of fun trying to get into the cockpit of the Wraith dart, and McKay is telling Beckett that they both can’t squeeze into it. That was pretty funny and we were all laughing about that. There’s another scene where Joe Flanigan punches my character in the arm and says “Buck up, Carson.” That was a really funny Carson moment, I thought. 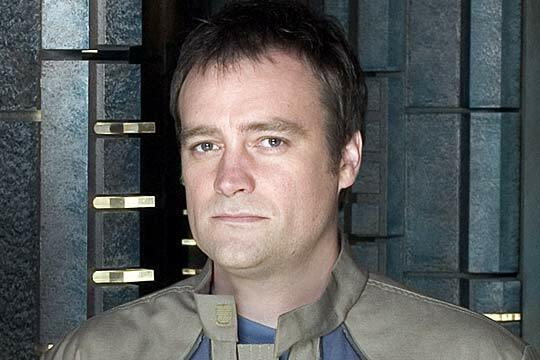 And then there’s the one where David Hewlett and I are standing outside on one of the Atlantis balconies at the end of Sunday and McKay is saying goodbye to Beckett. That was one of the saddest Carson moments. P McG – Cadbury’s Dairy Milk. P McG – At one point we did see a glimpse of his quarters, but if it were up to me I’d have had a disco ball, a round bed with lots of silk sheets for the ladies, and a Martini bar. Hmm…I wish I had that life. 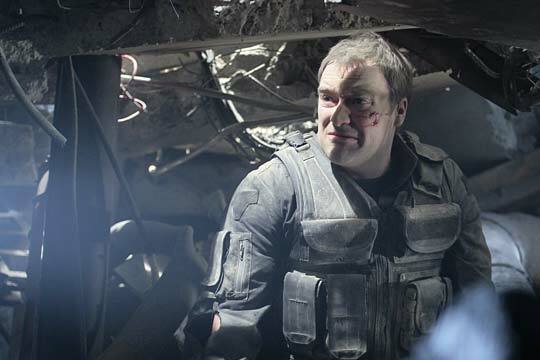 P McG – Our stunt coordinator, James “Bam Bam” Bamford, and I had always talked about trying to get Carson to give somebody a headbutt, or a “Glaswegian kiss” as they call it, but we never were able to fit that in. That would have been fun to do on the show. Bam Bam tried a couple of times, but the producers didn’t go for it. P McG – I liked the Mighty Thor when I was a kid, and I’ve always had a thing for Wonder Woman, too! P McG – Thank you, Alexandria. Rachel Luttrell is just a sweetheart and a great actress and it would have been terrific to have more with Teyla and Beckett. Let’s face it, Carson needed some more lovin’. P McG – David always has projects going on, so if he would like me to partake, that would be wonderful. I had a blast doing A Dog’s Breakfast and he mentioned a sequel at one point in time, and if that were to happen, it would be fun. P McG – Thank you again, Alexandria. That’s really sweet of you and I would love to come back to Australia any time. I always have a great time there. Favorite movie of all-time, that’s tough. I’ll give you three – I love The King of Comedy, which is a dark comedy with Robert DeNiro, Jerry Lewis and Sandra Bernhard. I love The Indian Runner, which Sean Penn wrote and directed, with Viggo Mortensen, David Morse, Dennis Hopper and Patricia Arquette. And comedy-wise I love Stripes. P McG – Bond…Pauly Bond. P McG – The Lord of the Rings books. P McG – I think The Flash would be cool. 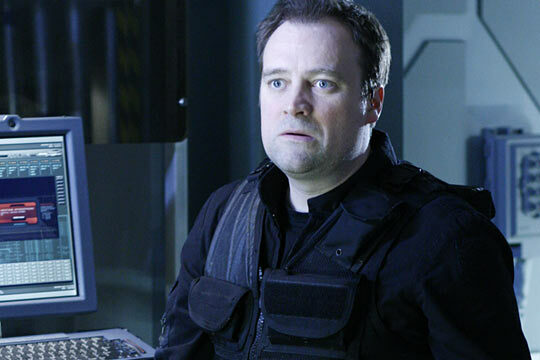 P McG – For me, having been killed off in the show and then brought back in the fifth season on a recurring basis, I was surprised to be honest. I thought the show would have gone a sixth year. I think a lot of people did and I think many of them were disappointed. But at the same time I thought, you know, in this day and age, to do 100 episodes of a television series is a huge achievement, so I think everyone should be proud of what they accomplished with the program. It was great to be a part of; it would have been nice to have seen another season, but at the same time everything happens for a reason. P McG – Thank you my lovely thunker from Down Under. I appreciate your nice comments about Carson and my characters in A Dog’s Breakfast. As far as See Grace Fly goes, it’s interesting that you mention this because right now we’re re-working the cut of the movie, so I would hopefully think within the next six months we should have a much higher-quality version available on DVD. We weren’t happy with the way the transfer-to-DVD happened, so we’re now in the process of redoing it and will be coming out with a new, modified version. Once we figure that out and the DVD is available, I’ll post the information on my website. P McG – I would love to. I had a great time in Melbourne; I adored the people and the city. It was just fantastic. So hopefully that will happen sooner than later, and rumor has it that it might. P McG – Ask Steve Eramo that because he’s the one who’s transcribing these answers for you guys (blushes Steve). P McG – Definitely squeamish – I turn the channel immediately. P McG – Thank you kindly for your great compliments, Michael. That, my friend, is a question for the producers, but the great part is Beckett came back, and for me as an actor it was great to reprise the role. Along with answering your questions, Paul also took some time out to talk about some of the recent and upcoming projects he has been busy working on. So it was great to be back and working with Amanda Tapping (Dr. Helen Magnus) and (executive producer) Martin Wood, who directed the episode. A lot of familiar faces from Stargate work on the show, too, so it was a real blast to be back and reprise my Wexford character. Again, we’ll see where it goes from there. Prior to that I had a guest-starring role in a new Canadian series with Callum Keith Rennie (Battlestar Galactica) called Shattered and I played a really quirky and interesting character named Victor Hugo. About the only thing I can say is he turns out to be a very bad man. I also just finished a short film called A Fine Young Man that we’re going to submit to the Toronto Film Festival. It’s directed by an up-and-coming director named Kevin Funk and co-starring a very good friend of mine, Wes Salter (Supernatural), along with Ali Liebert (Harper’s Island) and Cole Humphries. It’s a period piece circa 1962 and a bit of a political thriller. I did an independent film as well called Hit and Strum that we’re hoping to get into the festival circuit, too. I’m a co-star in that alongside Kurt Cowat and Michelle Harrison. And I also shot another movie, a thriller called Confined in which I co-starred with Emma Caulfield (Buffy the Vampire Slayer), Michael Hogan (Battlestar Galactica) and David James Elliot (JAG), and that will be coming out shortly. So it’s been a busy few months for me, which I’m really happy about. And as always, just a note to everyone who reads this blog, from my lips to you guys, Steve Eramo is the man. As noted above, photo copyright of the Syfy Channel, so please no unauthorized copying or duplicating of any kind. Thanks!